Dispense Wire with Ease with Thomas Wheeler, Wire Pod, and the Stick – Rack-A-Tiers Mfg. There’s no greater tool than the one that makes your life easier. A hand-held screwdriver is just as good at its job as a power tool. The main difference is efficiency and speed. Both tools twist screws into wood. While the manual screwdriver takes time and tests your grip, the power tool zips through the job in seconds. When it comes to wire management, electricians know the frustration of messy cables and wires. Wires and cables all come on spools, but those spools aren’t exactly designed with efficiency in mind. Those spools are placeholders. The wire is rolled up, and it can stay on that spool till it’s dispensed. Getting it back on, or getting it off initially, can be a challenge. At Rack-A-Tiers, we want to help you conquer that challenge. The Thomas Wheeler, Wire Pod, and Stick enable smooth wire dispensing anywhere on the job site. What do these three particular wire management products have in common? Mobility and convenience! First up, let’s look at the Thomas Wheeler Wire Spool. The Thomas Wheeler is a wire dispenser designed with fast, twist-free dispensing in mind. It works best with NMSC, MC cable, or flex pulling. Wiring a new job site can take you all over the building. The Thomas Wheeler is designed to go all over with you. 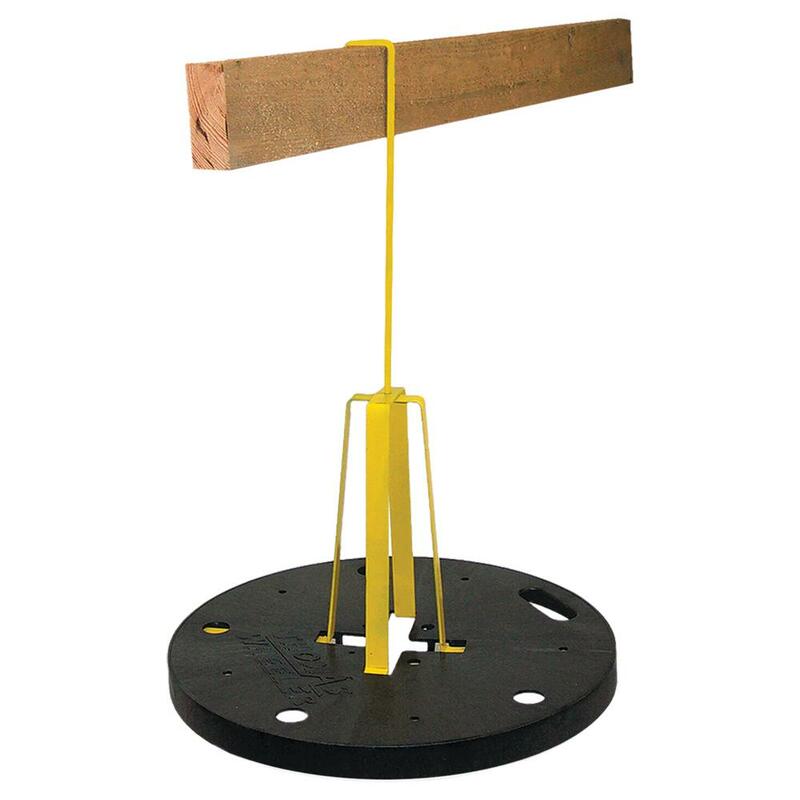 The Thomas Wheeler is easy to install on 2x4s, trusses, tee bars, and even larger ladders. It is lightweight and simple, yet rugged and capable of doing the job right. There is a weight capacity of 150 lbs. and requires no maintenance to remain in working order. Best of all, when you aren’t dispensing wire, you won’t even know the Thomas Wheeler is there. Not only does it hang up in seconds, but it breaks down just as quickly and folds flat. You can store it away in your van or truck until you need it again. You may even forget it’s back there! The Thomas Wheeler is perfectly capable of hanging from the hinges of ladders. However, it’s ideally suited for more open spaces or underneath large ladders. If you’re working in tighter spaces or from the top of smaller ladders, you want the Wire-Pod. This compact and portable dispenser is ideal for NMSC, AC, and Flex coils. The empty Wire-Pod weighs less than 3 lbs., is made in the USA, and is collapsible likes its bigger cousin the Thomas Wheeler. The metal design features four arms that drop down and fold open to hold wire. When you’re done, just fold the arms back up and put the Wire-Pod away. It really doesn’t get much simpler! The Stick is the third and final wire dispenser we’ll focus on in this post. What The Stick lacks in flash and flair, it makes up for in rugged dependability. The sturdy Stick attaches easily to any standard size stud, yet still has a compact design. While it doesn’t fold flat like the Thomas Wheeler or Wire-Pod, its thin design is equally easy to store. The Stick can handle a maximum reel width of 15″ and has the largest weight capacity at 200 lbs. You have two choices on the job site. You can continue to muddle along with wire on its original spool. Spend your time struggling to get the wire out and then painstakingly spinning it back in. Alternatively, you can get one of the three products covered here. Each one provides smoother dispensing for wires, and the Thomas Wheeler and Wire-Pod make rewinding cable just as easy. Each one is portable and lightweight. You can take wire where you need to go, set up your dispenser, and get to business. When you’re done there, simply take the dispensers down in seconds and move on to the next spot. It really can be that easy!